Inspired by his childhood fantasies of what lay inside unwatched VCR cases of R-rated ‘80s science fiction and horror films his parents wouldn’t let him watch, writer/director Panos Cosmatos’s Beyond the Black Rainbow (2011) is a throwback to the psychedelic science fiction of the ‘70s and early ‘80s that eschews story and character for mood, music, and very trippy visuals. Which as far as mood, music, and trippy visuals go, it’s quite the directorial debut. Whether that’s enough to keep you awake, I don’t know. I admit to growing awfully tired of this one, despite its visual artistry. Though it starts strong, with a wizened Dr. Arboria spewing an intro to his new-agey Arboria Institute intercut with ‘70s-esque nature photos straight out of The Parallax View’s Parallax Corporation induction video, the dialogue soon turns wooden, with acting to match. Hiding a skeletel story behind striking visuals is one of those filmmaking styles that, while appearing simple when it works, is unusually difficult to pull off. It’s not an accident that no one makes movies like Tarkovsky. It’s easy enough to watch Stalker, for example, and, because so little plot unfolds, imagine you can make a movie just as compelling so long as you pack it with beautiful shots. Turns out it’s not. What trips up first-time trippy filmmakers is their not understanding the difference between a complex emotional/philosophical/allegorical story told with minimal incident and dialogue and a simplistic story told the same way. It’s an easy distinction to miss. It seems as though movies like Stalker or Phase IV or After Hours or Last Year at Marienbad or A Field in England have little going on, story-wise, but what each achieves is a deeper emotional and pyschological power than their simple stories suggest. It’s here where Beyond the Black Rainbow falters. It never imbues its characters with anything like depth. It achieves a powerful mood, but the mood is all there is. It doesn’t feel attached to its characters. Everything is on the surface. Taking place in 1983, it’s set almost entirely within the Arboria Institute, where a young woman, Elena (Eva Allan), is being held against her will by mad scientist/spiritualist Barry Nyle (Michael Rogers), whose idea of therapy sessions are anything but therapeutic. Elena doesn’t speak at all. Instead she uses her psychic powers to yell at him telepathically, and what do you know, trouble ensues, she breaks out, the end. There’s a bit more to it than that, but not a whole lot. It’s a purposefully stripped down affair, content to present a kind of totalitarian future-world reminiscent of Cronenberg’s early films, THX 1138, and the stories of J. G. Ballard. It feels like a movie content to reference familiar tropes and assume that mere reference will do the heavy-lifting, theme-wise. It’s a movie that screams EIGHTIES! without, in the end, being anything like a movie from the ‘80s. Using an ’80s aesthetic to make an obviously non-’80s movie has been proven to work once, anyway—see Turbo Kid—but Beyond the Black Rainbow has only its overdriven, modernized ‘80s patina to hold your interest. Turbo Kid has characters to love. And Turbo Kid isn’t pretending to have come from the ’80s. 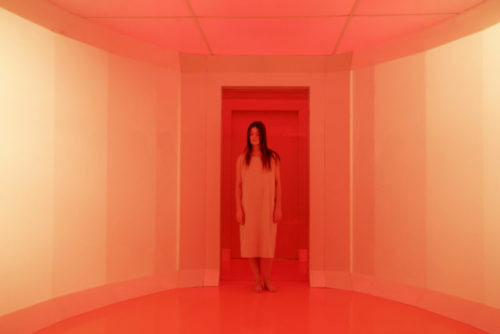 Beyond the Black Rainbow really believes it can fool you into thinking it’s a genuine lost ’80s artifact. Which failure to fool you might not matter but for its increasingly tiresome dialogue and a story it would rather ignore. In the end, it leaves you with nothing but pretty sounds and colors. The sounds and colors are pretty, though. Visually, Kubrick and Cronenberg are all over this movie, as is Phase-IV, THX-1138, and so many other ‘70s and early ‘80s flicks I can’t single them out. There’s walls of colors, geometric shapes, close-ups of eyeballs, 2001-esque furniture, weird bald heads, a whole lot of reds and blues, and a lengthy flashback sequence shot in high-contract black & white. 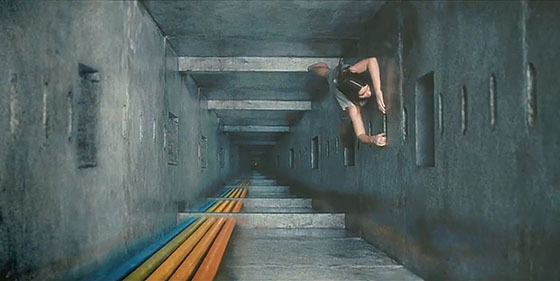 Cosmatos and cinematographer Norm Li certainly did their homework. The soundtrack, by Sinoia Caves, the one-man-band of a certain Jeremy Schmidt, owes its sound to John Carpenter, Tangerine Dream, Wendy Carlos, and any number of other oppressive synthesizer soundtracks of the era. It’s appropriately hypnotic and ominous. 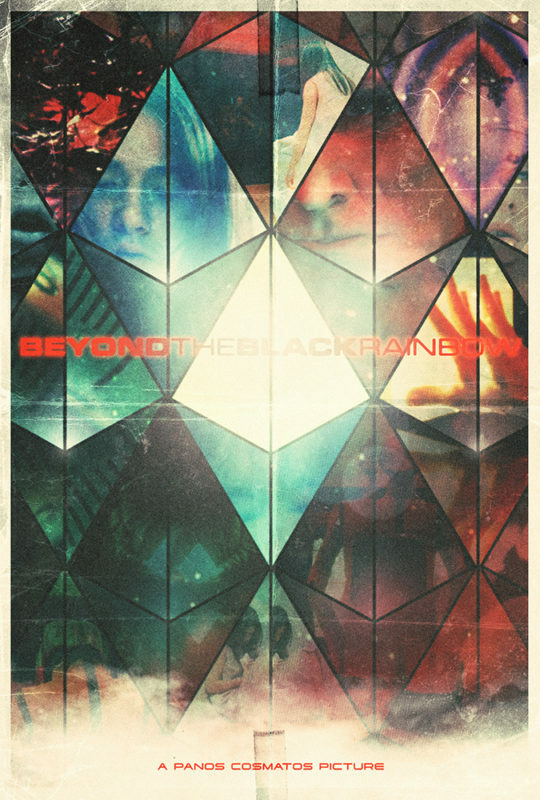 More than anything, Beyond the Black Rainbow is a fascinating experiment. As a film, it didn’t hold my interest beyond appreciating its style, but for all its imitation of movies past, it’s its own thing. Which is great! Better that the movie resemble the past without being like the past. It means that despite his efforts, Cosmatos can’t help but present his own vision, even when he’s trying to hide it. Now, if you’re thinking, Cosmatos, Cosmatos, surely I know that name…You do. If, like me, you grew up in the ‘80s, you will never forget the name George P. Cosmatos. He didn’t direct a lot of movies, but he did direct Rambo: First Blood Part 2, Cobra, Leviathan, and Tombstone. He died too young. According to his filmmaker son, Beyond the Black Rainbow was financed largely through Tombstone’s residuals. I can think of no better way to have spent that money, and hope Cosmatos the younger goes on to make a movie, one day, as brilliant as Cobra. And who knows—maybe he already has. 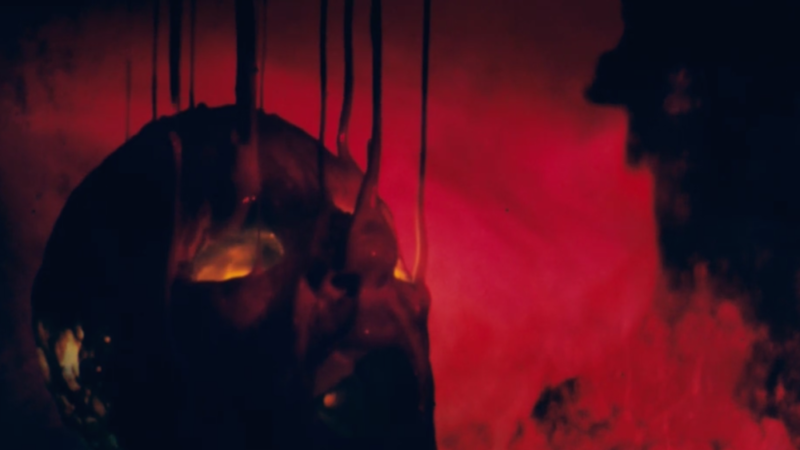 His second film, Mandy, starring Nicolas Cage, also set in 1983, played at Sundance last month, and sounds totally nuts. I will watch it. I stayed awake for this movie, but my wife did not. I can understand that, but I did dig the visuals and the near-absent concept of story. It didn’t feel especially ’80s to me, but it did have an experimental ’70s vibe to it. Cosmatos the elder had a distinct sense of style, as does his son. I’ll be very interested to see what Panos creates next. Definitely early ’80s, which when people talk about the ’80s isn’t what they’re talking about, whether they realize it or not. And plenty of ’70s. A curious trip to be sure. And what with Nic Cage in his new movie, how could I pass it up?